Electric Imp®, Inc., a global leader providing enterprise secure IoT, today announced that Petasense, an innovative Industrial IoT startup headquartered in Silicon Valley, has been utilizing the Electric Imp IoT Platform to successfully accelerate the development of its machine learning based predictive maintenance technology. The Electric Imp IoT Platform, which features secure connectivity, scalability and lifecycle management, has enabled Petasense’s industrial customers to harness the power of predictive maintenance at a fraction of the cost and complexity. Petasense’s technology features the Mote – a wireless, triaxial vibration sensor – which embeds Electric Imp technology for WiFi connectivity. 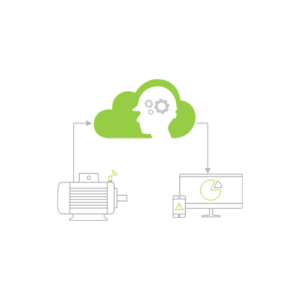 The Petasense and Electric Imp clouds integrate to collect vibration sensor data, so that it can be trended and analyzed using machine learning algorithms. Petasense recently announced it logged more than two million sensor measurements comprising 25 billion vibration readings. This increase in data insight is enabling their customers to make informed maintenance decisions, schedule repairs, distribute loads and improve overall reliability. In addition to robust end-to-end security, the Electric Imp integration enables secure over-the-air updates for simplified lifecycle management. Helping to curtail development costs, Electric Imp’s existing operating system (impOS) and cloud services eliminated the need for Petasense to hire a team of embedded engineers. The Petasense solution embedded with the Electric Imp platform is already being implemented by a Jones Lang LaSalle Incorporated (JLL) facility to monitor critical HVAC equipment. The Industrial IoT and machine learning technology makes is possible for JLL to continuously monitor, analyze and predict equipment health with actionable diagnostics in real time. As a result, JLL is able to make informed business decisions within minutes that translate to massive productivity gains and cost savings. To learn more about the JLL case, click here.